"We are delighted to have been working with Richard Fordham Tree Surgeons since he began with a truck and a tractor back in 1988. JS Wright & Sons Ltd have grown with the Company in that time, and regularly employ up to 4 teams of his men to fell Cricket Bat Willows for us. All the men are extremely reliable, honest and trustworthy and cannot do enough at any job they tackle, be it a planation of 100 trees or one small tree in someone’s back garden. We hope our association with Richard Fordham Tree Surgeons Ltd will go forward for generations to come." 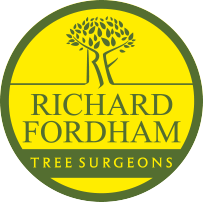 "I have used Richard Fordham Tree Surgeons for over 20 years. I have always been very satisfied with the service provided." "Great job as always, thanks Richards. See you next year." Fantastic job carried out by Liam and his team of men on a particularly tricky job! The garden looks cleaner than when they arrived. I will most certainly be recommending your services in the future. 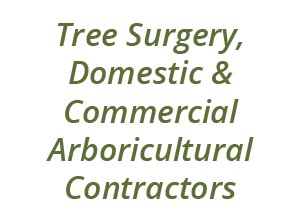 "We have been regular happy customers of Richard Fordham Tree Surgeons for many years and are always satisfied by the service provided. They are extremely professional, knowledgeable, efficient and complete work safely and to a very high standard. We will continue to use them for a variety of works for many years to come. All in all a highly recommended company for anyone with tree surgery requirements." "Thank you for all your hard work, hedges look great and I will definitely have you back next year." "Felsted School has been using Richard Fordham Tree Surgeons for just over 5 years. During this time they have consistently provided us with a very reliable, reasonably priced and excellent service. We have also been impressed with their high standard of work and professionalism at all times." "Richard Fordham Tree Surgeons have recently undertaken the job of removing a large Elm tree from our back garden due to it suffering from Dutch Elm Disease. Richard’s men carried out the whole operation in a thoroughly professional manner and everything went to plan. Fellow villagers admired the work as the tree was hugely significant to our village. Richard kindly supplied and planted a replacement Elm tree. A highly recommended company." "We are very pleased with the work your team have done here and with the professional way they tackled the tricky job. The timber has been neatly stacked and no damage has been done to any other tree or property." "We recently employed Richard Fordham Tree Surgeons to heavily prune a very large horse chestnut tree, behind our property. The tree was huge, and had not been pruned for a very long time. Access to the tree was difficult, and the job had to be carefully handled due to telephone wires running alongside the tree. The job was very professionally handled, over only 2 days, and the site left clean and tidy. I would have no hesitation in recommending them." "When I was Chairman of Bakers Mill Community Association and Treasurer of the River Stour Trust charity Richard Fordham Tree Surgeons were my first port of call when I needed help or advice with any matter involving any tree problems we had on any of our land. They were always courteous, helpful and gave sensible solutions to dealing with problem trees. They arrive when they say they are going to, they carry out the work quickly and efficiently and clear up afterwards; a truly excellent firm giving great service. No job was ever too small nor too large. They managed the felling of 9 mature cricket bat willows that were infected with watermark disease with consummate ease even transporting them across the river to be burned." "Richard Fordham Tree Surgeons are thoroughly professional and knowledgeable and have helped me with several projects over the years to the highest standard. I could not praise them high enough." "Thank you Richard and your team. The tree was expertly taken down and the stump ground out without any trace. Will see you again next year for some more annual pruning."